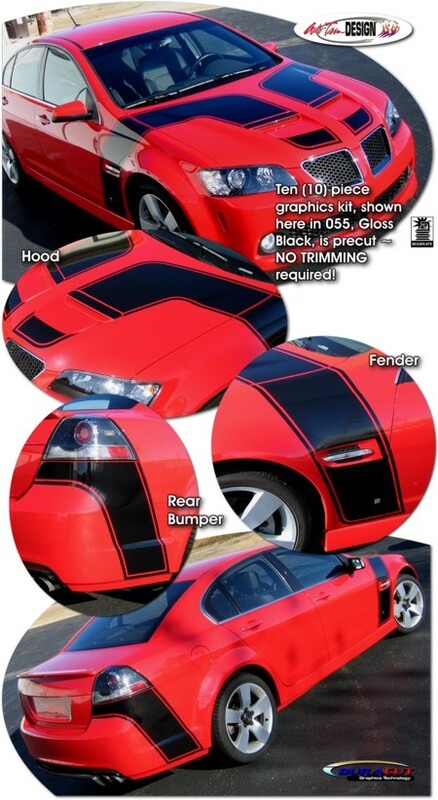 Set your Pontiac G8 apart from the rest with this unique "Stryker" Hood, Fender and Rear Bumper Graphics kit. Kit is packaged as a set of ten (10) pieces. They're PRECUT and ready to install in a wide variety of colors with NO TRIMMING required! As a bonus, we've included a set of "Stryker" badging decals in the same graphic color at no additional charge (set of three  decals).